Is Big Data a Game-Changer for L&D? L&D is under increasing pressure to prove the business value of learning: to demonstrate ROI and directly link learning initiatives to improved business performance. But, up until now, one of L&D’s biggest challenges has been to identify and capture metrics that clearly align learning with bottom-line business impact. Will Big Data be the answer? Many think so. So what is Big Data anyway? Every action we perform using modern technology – from business transactions to social media posts, to information captured by machine sensors or barcode readers – generates incredible volumes of information (Big Data) that can be stored, aggregated and analyzed. There’s no doubt that Big Data has achieved mainstream business adoption. An IDG study in 2015 revealed that 80% of enterprises and 63% of small businesses had either already deployed or were going to shortly deploy Big Data initiatives. These firms see Big Data as a chance to gain and act on insights quickly to increase market share. It just makes sense that L&D should also seize the opportunity to use Big Data to its advantage. L&D needs to expand its Big Data focus. Historically, L&D has found it difficult to use data to correlate learning to business outcomes. However, this is starting to change. 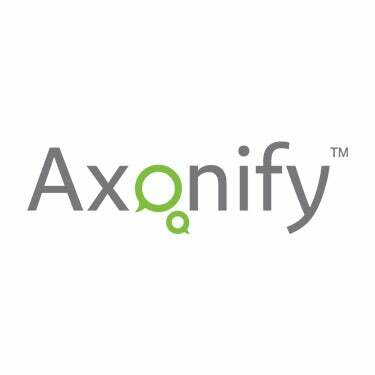 Recent technological developments, such as xAPI (and, quite frankly, sophisticated algorithms in our Axonify Employee Knowledge Platform), are helping learning professionals more quickly and effectively capture and perform analytics with valuable learning and performance data that tie to business results. A study by i4cp found that 22% of organizations with more than 1000 employees are already leveraging learning-related Big Data, while another 39% have Big Data plans for the future. The standard metrics provided by Learning Management Systems—such as assessment scores, training hours completed, survey feedback—might be valuable for running the day-to-day of L&D, but they don’t identify a measurable impact on the organization’s bottom line. Instead, L&D must identify, measure and assess metrics that clearly establish how employees’ knowledge levels impact their ability to improve job performance. This means establishing a measurement strategy to generate data about how employees retain what they learn and effectively apply it to the job. It means comparing employee knowledge against behaviors (what they do), comparing behaviors against the results they achieve, and comparing their results against business goals. By creating a measurement chain that links knowledge, application and results, you can not only identify learning’s impact on job performance, but aggregate the data and analyze it at the organizational level as well. Is Big Data the key to proving the value of L&D? Why do employees in one location perform better than in others and why? How much did the company save in accident reductions due to new learning initiatives? What percent of improved customer ratings is due to employee knowledge improvements? How long will it take to bring employees to competence on a new product line? What specific learning does this employee need to improve job performance? What type of training content do we need to help prevent specific safety incidents? There’s no doubt Big Data has the opportunity to be a game-changer for L&D. But, for it to be truly valuable, learning metrics must first be clearly aligned to business performance. Stay tuned: The next post in our continuing discussion on Big Data will provide more concrete examples of analytics and how they can improve job performance as well as L&D’s overall results. Are you using Big Data in your organization to provide more valuable learning insights to the business? We’d love to hear your stories in the comments below.